If you have multiple circuits not working than the problem is most likely at or before your main panel. If you have neighbors that are also having this problem then you must call your power company, if not than you must call an electrician. If you have bathroom, basement, kitchen or garage outlets not working then check for a tripped GFI outlet (GFI outlets are Ground Fault Interrupter devices to protect in wet areas). There will be two buttons on the face of the outlet, one is a reset button and the other is a test button ( that is suppose to be tested once a month). You can push each to see if it is working or tripped. If this dose not solve you problem than check that all of the breakers are in the on position. If you have a circuit that is not working, the first thing you check is the circuit breaker box. Most breakers will indicate if they are tripped by being in a mid position or a red indicator window. Some breakers do not indicate and are hard to tell if they are tripped, with those type you can go through each circuit breaker and turn them off to reset and back on. If you find one that is spongy when you turn it off than you have found the tripped breaker. 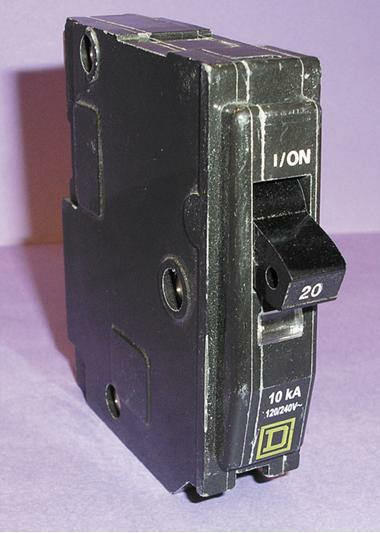 To reset a circuit breaker you must turn the circuit breaker all the way off (hard) and than turn it back on. If one instantly trips after resetting do not turn it back on until an electrician checks it. Screw in fuses that are blown usually have a dark window or inside of the window the metal bar is missing. Some fuses that are blown will not show and have to be test using a continuity tester.